We have purchased AP3865E with Antenna WS-AODT05120N and have read all of the manuals on how to install them. I'm just concerned that these antenna have 3 white cables hanging off each one that connect to the AP3865E and am worried about them flapping around in the wind and how unsightly the cables will look. They are going to be installed on the edge of a school building on brick walls. 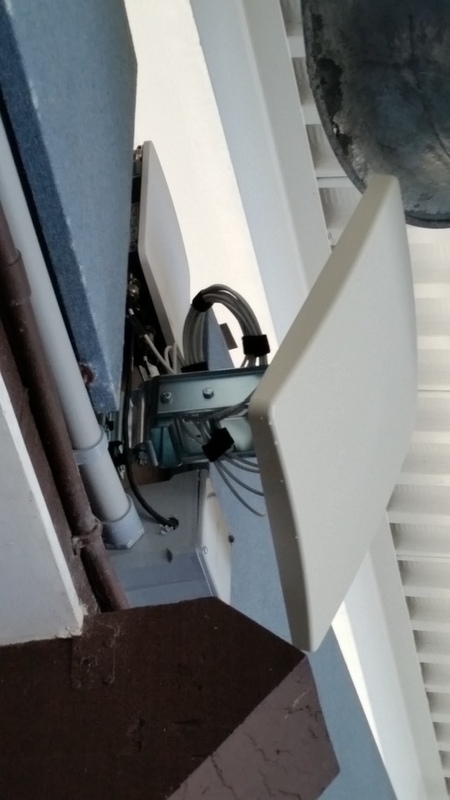 Each AP3865E needs 2x WS-AODT05120N and am after pictures and details of deployements of these type of antennas to see how other people have installed them and kept them looking neat and tidy. We typically coil and dress these accordingly with zip ties. They can be affixed to the mounting bracket or mounting surface depending upon the construction. Many of our venues place the AP inside an enclosure for aesthetics purposes. This also serves as a good location for coiled cables. Here is a picture of one outdoor setup. Not exactly what you are using but very similar.